The GIS & Mapping System, we deal in, is sought after for its accuracy and perfection. We are enlisted amid the premier Manufacturers, Importers, Exporters and Suppliers of the GIS & Mapping System from Delhi. Our dexterous team intricately designs these GIS & Mapping System to meet the highest industrial standards. 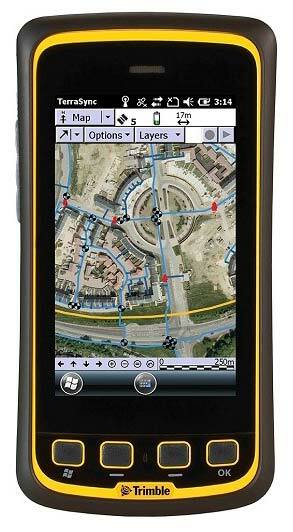 The GIS & Mapping System is globally obtainable from us in standard or customized specifications at the feasible rates. Aimil offers GNSS Feld Computer, Juno Series, Normad 900G Series, Yuma Series, GNSS Receiver, Field & Office Softwares, Reference Station amd related products & support. Trimble Juno series : Trimble® Juno® series, your mobile workforce is empowered with a fully integrated, GPS-based data collection system for everyday field work. Trimble Geoexplorer 6000 series : bringing together the essential functionality for productive GIS data collection in one device, the Trimble® Geoexplorer® 6000 series also delivers positioning accuracy in challenging GNSS situations such as under trees and near buildings with Trimble floodlight™ technology. Key Features : Trimble floodlight satellite shadow reduction technology, more positions and increased accuracy in tough environments, sunlight readable display, for unmatched clarity in bright sunlight, 3.5g cellular capability, high-speed internet connectivity in the field, 5 megapixel autofocus camera, capture high quality photographs and link directly to features, field-swappable battery, all day operation and the convenience of swap-and-go battery replacement. Geoexplorer 3000 series : GEOxt handheldthe Trimble® geoxt™ handheld, from the Geoexplorer® 3000 series, is the essential tool for maintaining your GIS. Key Features : real-time submitter GPS with integrated SBAS and Everest multipath technology, Trimble deltaphase technology provides 50 cm accuracy after postprocessing, high-resolution vga display for crisp and clear map viewing, bluetooth and wireless lan connectivity options, 1 gb onboard storage plus sd slot for removable cards, windows mobile version 6.1 operating system, rugged handheld with all-day battery.